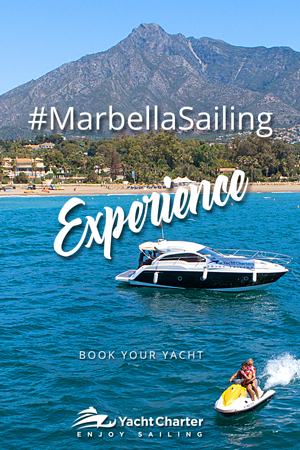 Experience the best Marbella Boat Party with your best friends. We include a DJ or a live music saxophonist, floating raft parties and water activities. This boat party is the best if you want to combine a few drinks with a refreshing swim in the sea and listen to some good music. Plus, enjoy a Champagne Shower at the end of the party. Banana boat, jet skis, kayaks, Speed Boat, Paddle surfing. 2 hours | Moorning Puerto Banús. Visiting from the Sea the famous Marbella Beach Clubs and coming back to Puerto Banús Port to finish our Boat Party sailing experience.